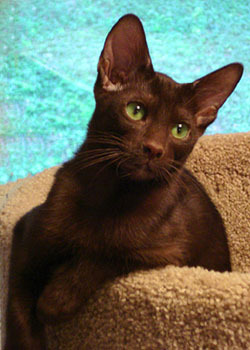 5 Responses to Havana Brown Cat – Very Brown Cat! Total, how many types of domestic cats are there? all together there are 41 breeds of cat, of which 16 are “natural breed”; meaning they existed prior to human domestication of cats; the rest were bred under human control at some point in history. Havana Browns truly are some of the most interesting and beautiful cats alive! Havana Brown’s are really cute!!!!!!!!!! and so loveable. i could just hug them all day long.